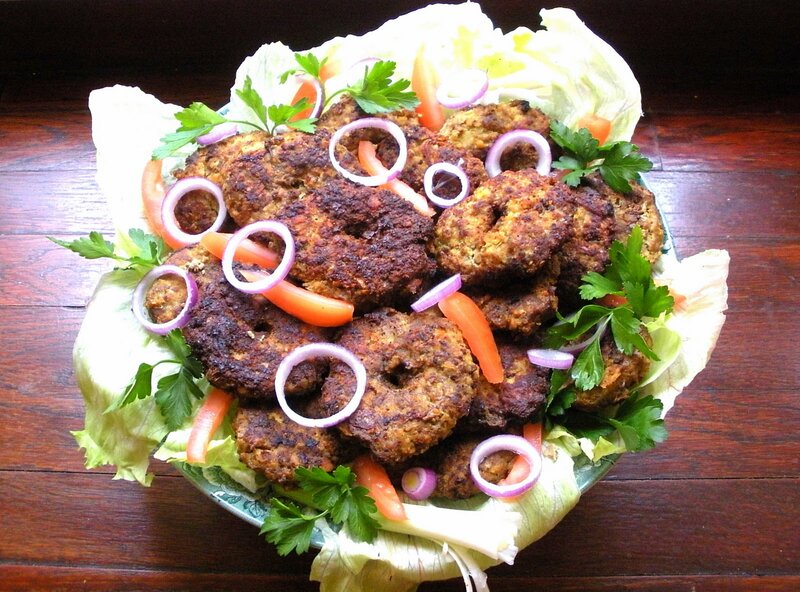 My grandmother used to make شامی shaami kabab all the time and they looked beautiful and tasted amazing. Shaamis are meat patties that look like donuts. Grandma's kitchen consisted of a small portable gas cooktop next to her bed and a small table filled with different spice jars and cooking gadgets. At a very young age I was fascinated by her cooking especially the way she prepared shaami kabab. I cannot remember the exact measurements but this recipe is very close. In a large bowl combine all ingredients and mix thoroughly until well blended. Heat 3 tablespoons vegetable oil in a large frying pan over medium heat. Take a handful of the meat mixture, shape into a small ball, flatten it as the size of the palm of your hand, make a hole in the middle with your finger. Fry both sides until brown. Serve with fresh herbs, yogurt, pickles and warm bread. i was happy to find your site yesterday whilst i was looking up food blogs. I am hoping to start my own soon as i think many iranian families do things differently and it would be nice to have more recipes with those individual twists. I live in japan at the moment but will be going to hong kong soon and am looking forward to the new ingredients i will encounter there! 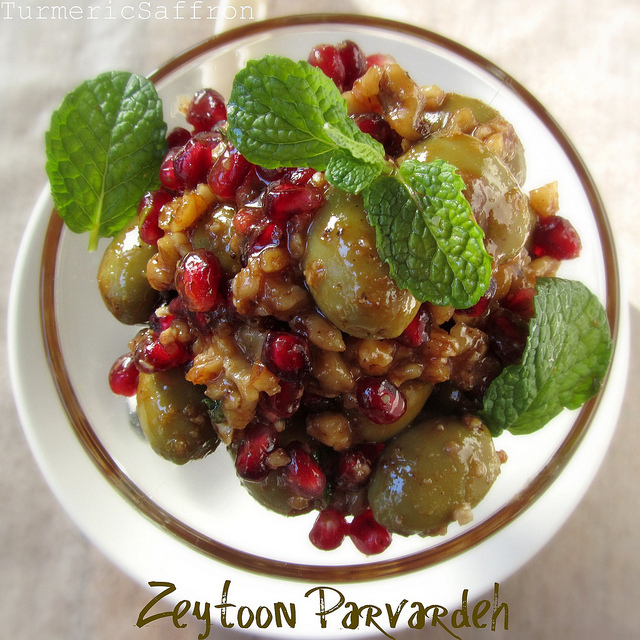 Out of all the iranian sites i have used for recipes i believe your blog has some of the best, closest to my own memories. bye! Thank you for visiting and leaving a very kind comment. I love reading food blogs too and hopefully one day I’ll get to read yours. We need more Iranian food blogs out there. How wonderful that you get to experiment with new ingredients in different countries!